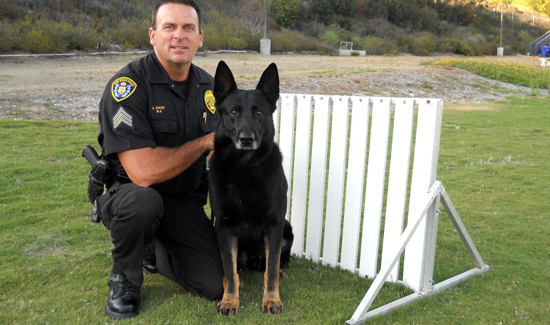 Jess Havin is a 29-year veteran of the San Diego Police Dept. He joined the force when he was just 20 years old. For the last 20 years of his three-decade career he has worked at the Department’s K-9 Unit. Sgt. Havin’s most memorable calls on the job come from when he was a young sergeant. He and his lieutenant, Chris Ball, had stopped a suspected stolen vehicle. “Lt. Ball had gotten out of the vehicle to talk to the driver, “Jess said. Another memorable event occurred when Jess and Chris Ball noticed a suspicious looking man pushing a bike with a missing seat. He was carrying a large knife with what looked to be covered with blood stains. The man ended up being Juan Galvan, who was later convicted of several assaults and murders. The knife was the evidence that linked him to the crimes. Jacqueline Rainey is the editor of The Informant, the official publication of the San Diego Police Officers Association.